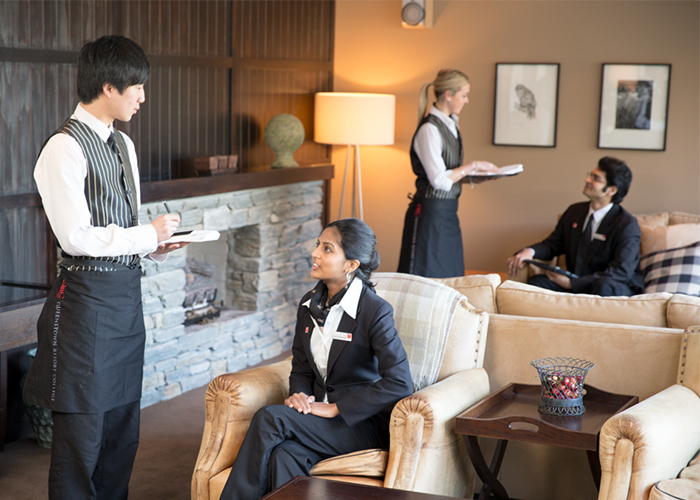 To enable students to gain a deeper understanding of the hospitality industry and its multiple sectors, and develop a depth of knowledge on the management issues that occur within the industry. The Industry Practicum and Research Project will provide students with a hands-on immersion in the hospitality industry and allow them to apply their learning, test the relevance of academic theories and reflect critically on the relationship between their academic study and industry practice. Graduates of this programme with its three pathways will have an advanced level of international hospitality management knowledge and skills. These attributes equip graduates for a wide variety of business roles in an international environment. They are ready to pursue a career in the global economy with awareness of international trade concepts, cultural issues, ethics and the internationalisation of Hospitality. Graduates will find opportunities in roles such as Food and Beverage Manager, Restaurant Manager, Event Operations Manager; and in tourism management, such as Client Experience Manager, Experience and Brand Manager, Community Development Manager and many more.